Berkshire Hathaway moves to new offices at 3 Centerpointe Drive in Lake Oswego. Earlier this year, Managing Principal Broker Gayleen Weiler celebrated four decades of helping people buy and sell properties through Berkshire Hathaway HomeServices Northwest. And March 16, she celebrated another milestone with the company's Lake Oswego branch as they held an open house in their bright new office space at 3 Centerpointe Drive. "We were ready to get up on the second floor and get some light," she says. "I've been doing this 40 years, and this is probably the most enthusiastic and energetic change I've seen." The new office features a multitude of collaborative workspaces surrounded by private windowed offices for agents and the company's lender. Weiler says the open areas will encourage agents to swap ideas and information. 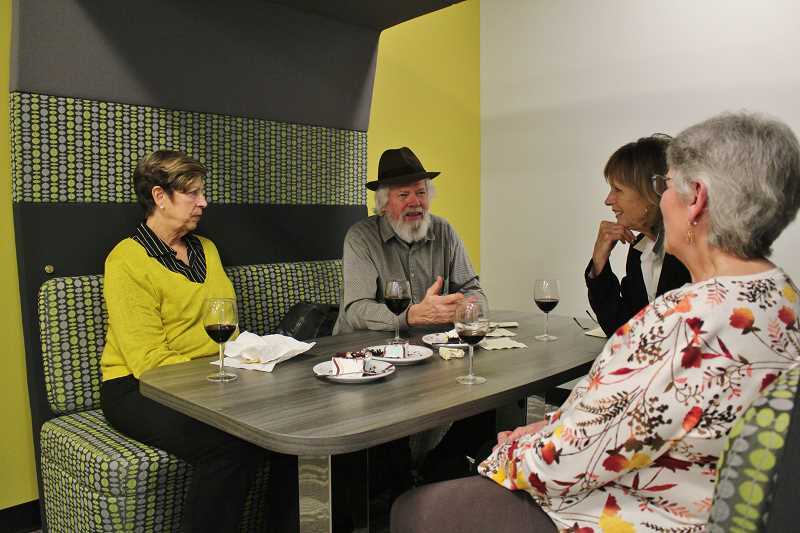 Agents can host trainings and spontaneous "pop talks" to teach one another about new technology and trends in a 12-person theater space, and they can sit down for a longer chat in a stylish conversation booth. The emphasis on collaboration is ultimately about better serving their clients, Weiler says. "It's about doing the very best that we can for our clients and customers," she says. "We're more interested in the quality over the quantity." The branch had spent the past 26 years across the street at 5 Centerpointe Drive, says Jolynne Ash, a principal broker for DreamStreet Team at Berkshire Hathaway in Lake Oswego. "It was time for a new space," Ash says. She and her team now enjoy their large windows that look out on the surrounding trees. 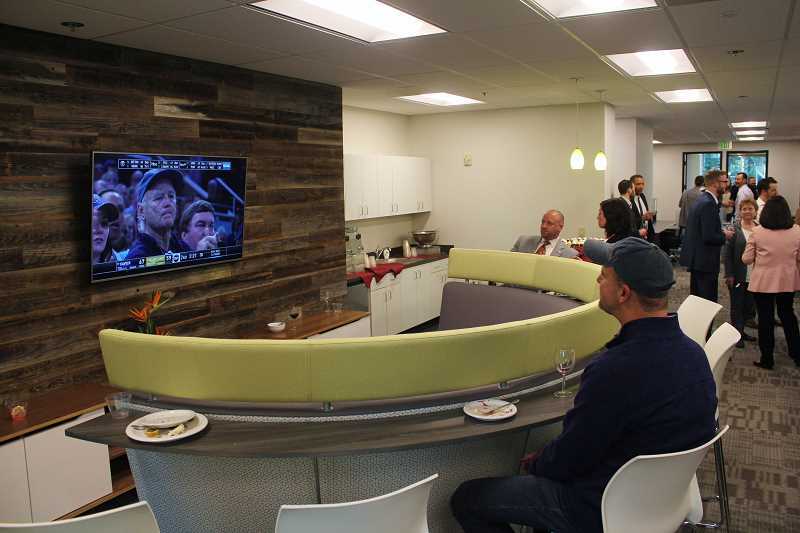 The space was designed to offer the benefits of a modern office with the comforts of a more traditional one, says Berkshire Hathaway HomeServices Northwest President and CEO Jason Waugh. The perimeter offices offer longtime agents a space of their own, while the open areas resemble those of a high-tech company. "The fact that this is really professional and open is going to foster a lot of pride," he says. The space may even inspire "working more from the office than this mobile environment we've become accustomed to."